It’s a double whammy of news announcements for Tesla this week as they announce not just a new Roadster but also a semitruck, which is capable of a 500 miles range. A new roadster from Tesla has been on the cards for some time and this new model sounds like it won’t disappoint. 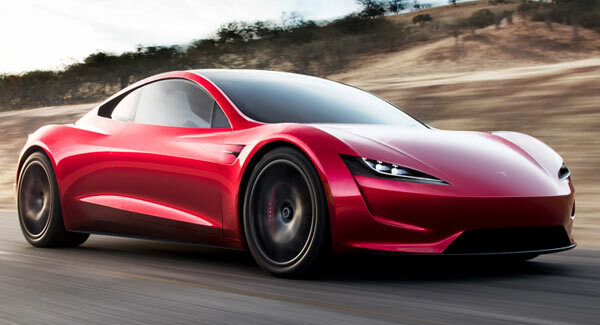 The second-generation Roadster is said to be capable of a 250mph top speed, 0-60mph in 1.9 seconds, 100 mph in 4.2 seconds and a quarter-mile time of 8.9 seconds. All this power with a 200-kWh battery pack. The car is also expected to have an incredible 620 mile range and a total of four seats, but it’s more like a two seater. All this performance will come at a cost, with an expected base price of $200,000 and a $50,000 reservation fee. This future tech. is great if you buy into the sports/electric market, but how will this affect the muscle car arena long term? At some point in the future, muscle cars will have a possible electric side to them, if not partly then completely which leaves the question of how can a traditional V8 muscle car be adapted to be electric and still be called a muscle car? The love for all things V8 up to this point will never go away, but this is more the talking points of ongoing vehicles and how the muscle car sector will continue. Its probably too early in the process to call a true electric vehicle a muscle car, but it leaves the question to be raised at this point to see how the muscle car can fit into the electric landscape long-term. There are currently crossover outfits that will convert the powertrain of a pony or muscle car into electric, but this is still a very niche area of the market and is a retrofit option rather than buying new vehicles. For now we just have to keep an eye on the likes of Tesla and the big muscle car manufacturers to come up with a solution that will keep all muscle car fans happy long term, both old and new.